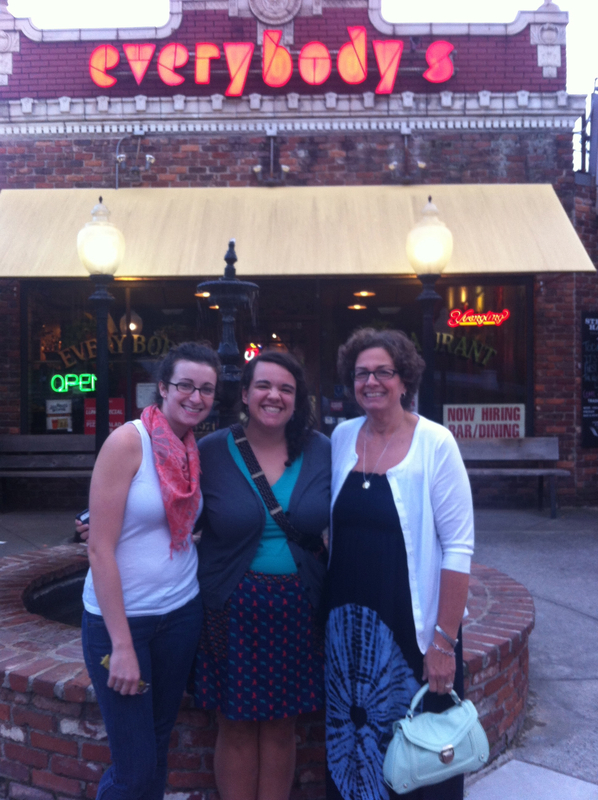 We had always eaten at the Everybody’s Pizza in Virginia-Highlands, but when Madison chose Everybody’s for her birthday dinner, we found that the location on Highlands had closed. So we packed the family up and headed for Emory Village. This was the first birthday this year when everyone lived in the same major metropolitan area, so we were excited to have the opportunity. We started with cheese sticks, of which there were eight. Then we diverged greatly. 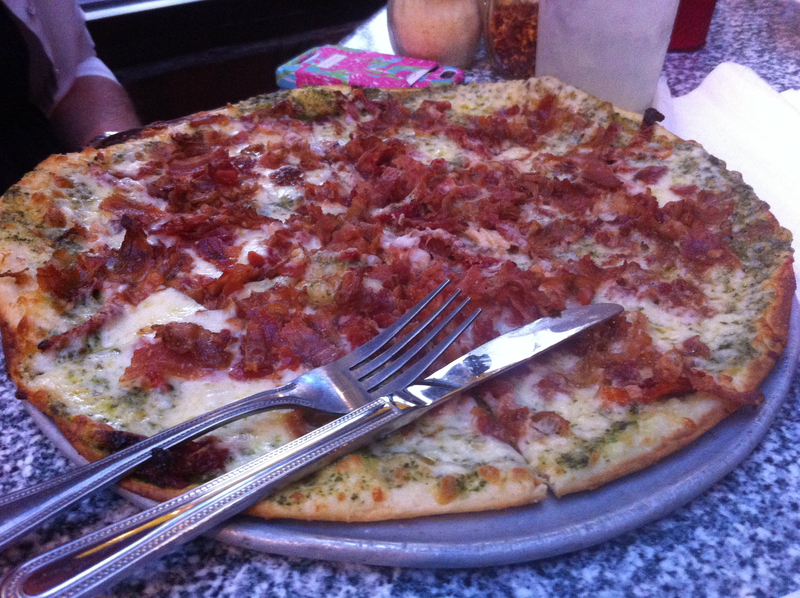 Jo ordered a thin crust pizza – I did not know that this sentence could be uttered, but Jo said it that night and I’ll say it here: that pizza had “too much bacon”. Yes, it is apparently possible to have too much bacon. I would not have believed it. I ordered a pizza salad. 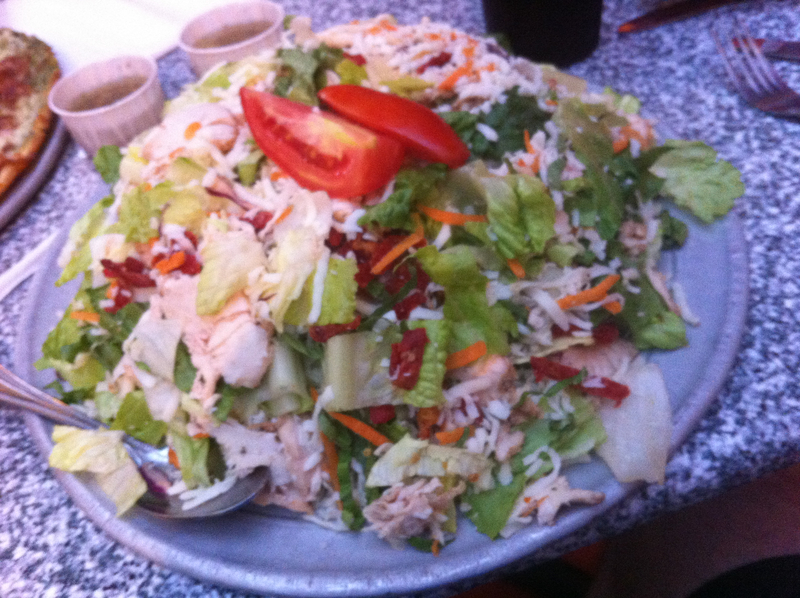 What’s a pizza salad you ask? Odd. Basically, bread sticks, baked with pesto sauce, then piled to about a four inch mound of lettuce, tomato, cheese, carrots, and chicken with a sauce on the side. This was served on a 12 inch pizza pan and was HUGE. I ate about a third of it and we brought a huge plastic container of salad home. Madison offered to split one with me, but I had to have my own. That would have been the correct decision. We had a good dinner and great time.